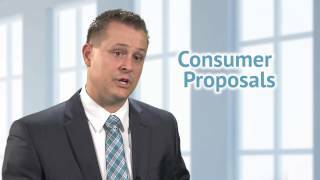 Consolidation Loans | Welker & Associates Inc. Consolidation Loans - A popular debt settlement strategy, but will it work for you? Chris Welker explains how consolidation loans can be a good option, but if your credit score is hurting or you don't have any assets, you likely won't qualify for the loan. Debt Consolidation Loans are a popular debt management option for people who are experiencing money problems. What issues may I run into if I use a consolidation loan to address my money problems? When is a Debt Consolidation Loan a good option? What issues may arise if I use a second mortgage as a Debt Consolidation Loan? What if a Debt Consolidation Loan isn't enough? Debt Consolidation Loans and second mortgages can be a good a debt management option provided that you qualify, they consolidate all debts, and the payments are affordable. If your debt consolidation loan only gives you enough money to pay some of your creditors or the payments are unaffordable you should consider other debt settlement options such as filing personal bankruptcy or making a consumer proposal.